There are many misconceptions on how to effectively use drones in agriculture. Norm Lamothe is a farmer, seasoned commercial drone operator, and co-founder at Deveron UAS—a publicly traded, Canadian drone service company. Norm joins Ian to set the story straight by discussing how farmers are really using drones and what they can accomplish by deploying them above their fields. Click here to check out the Deveron UAS website. You can follow Deveron on Twitter at @DeveronUAS and Norm at @WoodleighFarms. [00:00:00] [Advertisement]:This episode is brought to you by Up Sonder, the easiest way to monetize your drone with the industry’s only Million Dollar protection coverage free to its members Up Sonder is the top choice among certified drone pilots to get up and stay up to get started. Create your free listing today at upsondor.com. 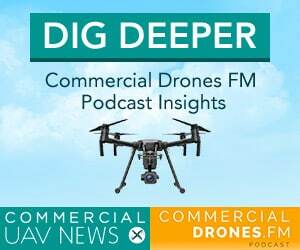 [00:00:35] IAN SMITH: Hey everybody and welcome to Commercial Drones Fm. Today I’m sitting here in a hotel in San Francisco with our guest Norm limos of Denver on us out of Toronto Canada. He’s a farmer and a quick fun fact is that Norm was actually and I’m not even making this up. Mr. October in the farming calendar from his province, so welcome to the show norm. Is that true? [00:01:00] NORM LAMOTHE: Yeah it is Ian, thanks for having us. I was part of the Food and Farm care. Ontario is the group that puts on the farming calendar on an annual basis. And I’ve had the pleasure and luxury of working with them over the last year and it was a great opportunity. They asked me to be their poster child and that was a lot of fun. [00:01:22] IAN: Total farming stud muffin. You know we’re going to have to do and actually have to make the episode picture, that picture if they’ll allow us to use it or if you have full blown rights for it. [00:01:31] NORM: I have full blown rights, I’ll send it to you. [00:01:33] IAN: Yes. OK. So you will see the album artwork of this, it’s glorious and Norm you are a real farmer are you not? [00:01:43] NORM: I am a farmer and funny enough If you were to look back three or four years I wouldn’t have said that I would find myself in the drone space here today. I actually left 10 year career in aviation to pursue the family farm. And one of our local farmers in the area, knowing that I had some background in aviation I was attending some shows in the U.S. and he recognized at that point in time that drones were going to play a role in agriculture and suggested I look into the space. [00:02:10] I did that in early 2015 and through that process decided that we were going to make a move on a piece of hardware at that time. Signed up a few local growers who are supportive of the technology and we use the technology throughout 2015, quickly realize that drones had a space in agriculture and there was a tremendous opportunity to help growers increase their yields and decrease their inputs. I was already thinking of a natural expansion when I met the company that I’m currently working for now and that is a company that we co-founded together with our CEO Dave McMillan and it’s called Deveron UAS. [00:02:45] Deveron UAS is a commercially listed company on the Stock Exchange in Canada, and for me it was an awesome opportunity to expand on something that I was already thinking of doing by using the public vehicle. For Deveron, it was a unique opportunity to get into the space with someone that was doing something in the field in real time. So my family and I we farm about a 500 acre plot near Toronto, Ontario. A mix of corn, soy, wheat, we also have a small maple syrup operation and a market garden. [00:03:23] IAN: I can attest to the deliciousness of that maple syrup. You you mentioned it. I’m actually a little bit shocked, 2015 is when you started using drones. So two growth seasons now. [00:03:38] NORM: Yeah, I jumped in with both feet forward and really took a liking to the industry. I had followed the UAV space quite a bit previously. My last job in aviation was as an insurance broker and we were primarily insuring a lot of UAVs in Canada. So I’ve been following the space quite closely from that perspective. I knew what was going on. I saw that there was a lot of activity in it and I knew that there was an opportunity for us to use my background in aviation but also my knowledge of agriculture to bring it to growers. [00:04:12] IAN: That’s awesome and so Deveron. What kind of company is Deveron? You guys are based in Toronto, Canada, you’re a publicly traded on the Canadian stock market which is awesome. We’ll touch on that and a little bit but, what exactly is it that you guys do in agriculture with drones? [00:04:28] NORM: Yeah, so Deveron is a full service remote sensing company and we focus 100 percent on agriculture. So through a fleet of pilots and drones we go out and collect data that that we use to help growers. Like I said increase yields and decrease inputs across a variety of crops and we work with a lot of software and analytics partners to help provide some are alive for those growers. [00:04:53] IAN: When you say decrease input. What is the purpose of decreasing inputs? and what are inputs? For those that are listening that might not be aware. [00:05:02] NORM: Yeah, inputs are the three big ones. They’re seeds, fertilizer and they’re chemical products or crop protection products. So farmers have to use all three of those products in order to sustain a crop in the field. And what we’re looking to do is have farmers use this more efficiently. So whether that’s decreasing fertiliser inputs to get the same yield. Whether that’s decreasing or crop protection or not using a crop protection product where it’s not needed. [00:05:29] The same goes for seeds. We have the technology now to do a lot of variable rate seeding in the fields and we’re helping growers create the zones through the imagery and the remote sensing that we gather from the air. To allow them to place those seeds more efficiently and more effectively in the fields. [00:05:45] IAN: Excellent, so I heard you say zones as well so I’m picking up on all the things that I’ve been learning and we’ll go over zones in a little bit. I Kind of requests that we go over ideally a story or two. Maybe some of your big successes using drones in Ag. [00:06:06] I know for example we’ve talked about probably at least 5 or 6 cases. I think we collaborated on a case study that we wrote quite a while ago. Well maybe it was a year ago actually, about a year ago on the DroneDeploy blog. Anyways, maybe you can tell me about a specific time that you used a drone on a field and you were really successful with it and and you found some some insight that you normally might not have discovered. [00:06:37] NORM: We did the ‘soybean case study’ with DroneDeploy in 2015 and that was real eye opener for anyone who’s looking into drones and determining how the growth is going to get a return on investment for using remote sensing in agriculture. What we found through the process of using UAVs in Ag, is that you need a lot of data. You need a lot of data to be able to do proper analytics. [00:07:00] Anyone can collect data in the field but collecting good data is very difficult to do and as a commercial service provider that’s where our focus lies. The opportunities for agriculture the way I see it are areas that are pre-scriptable and areas that are predictable. So any time you can take an image and use it to do a prescription, whether that be for fertilizer, for water management, for disease and pest control and apply that to the field on a variable rate scale or reducing what you would normally do is what I would call the normal practice. Tremendous opportunity for return on investment. [00:07:38] The second area that I see as potential moving forward is areas that are predictable. So that’s using remote sensing to identify a problem in the field before you can see it with the naked eye. Those are the holy grail items for us in agriculture but we’ve seen tremendous headway in some of the things that we’re seeing already. I think as we gather more data there’ll be more and more opportunities for that. [00:08:04] So we’re going to be publishing a few case studies at the end of this growing season orn where those ROIs are. As a grower, I’ll be the first one to tell you that if you show up at my door trying to sell me something, if you’re not going to be able to provide me a 2:1 or 3:1 return on my investment. I’m not interested, and so we’re looking to demonstrate to growers areas where we can fly the field. The grower pays the cost of having a drone there to collect the data and then they’re able to make a decision whether they’re able to get that 2:1 or 3:1, or 4 or 5 in certain circumstances. [00:08:39] One real exciting one has to do with variable rate nitrogen and using prescription base. [00:08:46] IAN: Real quick, variable rate meaning, that this has to do with zones right? The zones on the area. I’m taking this down a couple of notches because I’m really passionate about helping the other people absorb and learn. People that don’t know Ag too well and understand that you can’t just provide someone an NDVI map as well and call it a day and brush your hands clean. But variable rate application and zones. What does that mean? [00:09:13] NORM: Yes our normal practice would be you’d put down a product at a standard rate and you would apply that rate over an entire field. [00:09:20] IAN: So fertilizer or something. [00:09:22] NORM: Fertilizer, water, crop protection product, foliar nutrient product or program that you have in your crops. So you would just go through and you would put down the exact same rate across the entire field. Now we’re breaking that down into different zones so we’re looking at areas where plants have a stronger health, a medium health and a poor health. And we’re identifying areas where there is potential for that crop to reach a full maturity or a higher yield. We’re either increasing or decreasing the products that we’re using in relation to how the plants are going to respond to that. [00:09:58] So in nitrogen for instance. If you had an area that was flooded out or an area that was drought stricken. Why would you give that area more nitrogen? If it doesn’t have the water and it doesn’t have the capacity to become a full mature crop in that area then why would we bother putting more money in fertilizer to just watch it do nothing. So the idea of variable rate nitrogen applications is to feed the crops that are going to do well and have the potential to do well. So we’ve we’ve got some really great case studies that we’re going to publish. [00:10:33] One of them has to do with nitrogen and potatoes. Potatoes require a lot of nitrogen and typically the applications of nitrogen are split out over several applications throughout the year. So between images and information that we gather with the remote sensing, we can go in and look to see what the changes have been and then identify areas where nitrogen is required and where nitrogen is not required and the grower rather than just putting the same standard rate on every so many weeks he’s able to or she’s able to modify that to a variable rate and ultimately save money. [00:11:08] IAN: How are these applications actually applied to the field? What tools are used to do that? [00:11:15] NORM: It’s equipment on the ground. It’s tractors, spreaders – those applications can be either as a dry fertilizer or as a liquid fertilizer. And every operation is different. That’s one of the challenges in using remote sensing is that the farmer still has to have the ability to go into the field and make the timely applications based on the information that we gather from the drone. [00:11:39] IAN: Gotcha and so we mentioned and NDVI maps and they’re slight misconceptions around those. I know we’ve talked about this before again this is a recurring theme but maybe you can talk about. What is the value of an end NDVI map to you? [00:11:59] NORM: NDVI on its own is not a new technology, it’s been around for a very long time. Gathering quality data is something that we strive for in our business and our commercial offering. If you fly a field one day, you should be able to go back and fly that field the next day and get very similar NDVI values. If you’re not using calibrated imagery to do that, you’re not getting that. [00:12:25] If you’re using that imagery to then make a prescription decision, that imagery has to be calibrated so it’s very important. NDVI is a starting block of what we’re going to see agriculture develop into through the use of remote sensing. But it’s a very basic tool to be used at this point in time i would say. [00:12:58] NORM: There’s so much more to it. That’s just one piece of the puzzle. In my opinion, drones have been a little bit oversold in agriculture. There’s a lot of myths about what drones can do. Anyone can go to a local store and buy a very low priced drone and use it in the field, but whether or not they can actually use it to make decisions that will have a return on investment for them is a completely different story. [00:13:23] Even the NDVI, it’s that one little piece of a puzzle and there so many other factors you need to take into consideration. The weather, the topography, the historical fertilizer applications of those fields, historical yields and variability and where does that NDVI map fit into that field over the historical variability. Is it the same? or are we looking for hotspots that are outside of that norm. [00:13:49] NORM: Sorry, no pun intended. [00:13:49] IAN: Yeah I kind of threw that one out there. So there’s some misconceptions out there it’s safe to say. There are also reports by, I don’t even know Goldman Sachs or some of these other other large organizations that do studies, that predict that agriculture might be the leading industry using drones. Do you agree or disagree or what do you kind of seeing in that regard? [00:14:19] NORM: I think the economists in 2015 predicted that agriculture would be 80 % of drone use moving forward. Agriculture is unique in that it’s large, it’s vast. We have millions upon millions of acres across North America and in agriculture. It’s a huge industry. It’s controlled by very few players more and more. There’s less farmers out there. And the interesting thing about agriculture is that there’s opportunities for recurring revenue. [00:14:47] So unlike other industries whether they’re one off opportunities, agricultures is a repeatable business. It’s important to gather historical data and to continue to collect data on a regular basis in agriculture because it does give you quite a bit of change over time as well. [00:15:07] IAN: Right now if you had to design the perfect Ag drone. What would some of its specs be? [00:15:19] NORM: We use both rotary wing and fixed wing drones and UAVs in our fleet and they both have a place. The rotary wings just aren’t efficient enough to gather large acreage like the fixed wings are. They both have a place, there are sites and locations where we’ve showed up and we’ve actually had the call in a different type of UAV just based on the landscape that we’re dealing with. The type of terrain that we have to land and take off from. I think we’re going to see probably in the next few years some really interesting vertical take off and landing UAV and drones that are going to come on the marketplace that will fit both of those needs. [00:16:00] The quadcopters are nice. You can get a great low and over view with them but they just don’t have the efficiency to do mass acres. We also have some regulatory restrictions as to how big and how far we can go with our drones. And that’s line of sight right now. As we start to progress to beyond line of sight, we’re going to have a much more efficient method of collecting data on a larger scale and we look forward to that as well. [00:16:29] IAN: Have you ever used that quad copter for getting aerial data of a field. [00:16:33] NORM: Yeah absolutely, we have two quadcopters on our fleet. I use one on a regular basis. It’s sort of a research platform for us. We have three cameras on it and we can cover 40 or 50 acres with it. If it’s a larger field we can easily swap the batteries. 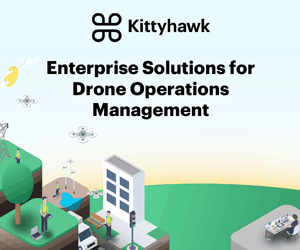 The software planning platforms like DroneDeploy has is an example of of the ease of use of that type of technology. They both have a place and we have them both on our fleet. [00:17:04] IAN: Nice. So I think there’s a lot of people that actually think that quadcopters cannot do agricultural work because they don’t have as much range. But in reality they can be quite flexible. [00:17:17] OK cool, so speaking of, back to like the story part of this. Maybe you can tell me about a specific time where you used a drone on a field and what you uncovered. Maybe a specific field or a specific crop and what did it allow you to do afterwards. [00:17:33] NORM: So we had we had severe drought in Ontario this year. It was I believe province wide it was one of the worst seasons in 75 years and I know on our own farm we had what we call a 100 year drought, so it was multigenerational dry conditions. With those dry conditions comes disease pressure. So plants are vulnerable theY’re under a lot of stress and disease comes in, sets in – insects and pests. So we had spider mites, which is not not a common pest for our crops, but they do they do thrive very well in that type of environment. [00:18:08] We had quite a few growers call us out to identify the percentage of the field that was affected by spider mites. They knew they had the pressure. They didn’t know how severe it was. They didn’t know if it was over a threshold and whether or not they needed to do anything to mitigate it. In several circumstances we went out we identified the percentage of the fields that had spider might damage, they were then able to go in and mitigate that with crop protection products. [00:18:34] IAN: What part of the data did you use? like the orthomosaic, was there near infrared imagery involved? [00:18:40] NORM: We were using the infrared and NDVI in that situation to identify the areas that are stressed. Again you need boots on the ground so we would go to those stressed areas identify how bad it was. Then knowing what the relative map of the field was able to identify those zones in the areas that that needs to be mitigated. So there’s a perfect example of the variable zone application, rather than spraying the entire field they would just spray a portion of that field. [00:19:06] IAN: That is awesome. What about the future? 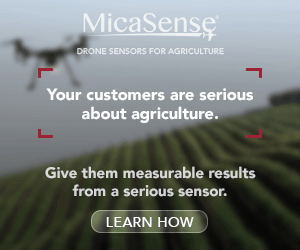 What do you see for the future of drones in Ag? I mean you guys are heavily invested in that specifically with Deveron UAS. What are your thoughts on that? Where do you see the space going, evolving? Give us a little bit of insight right there. [00:19:24] NORM: Yeah, we’re very excited about the potential for things like machine learning and inputting a ton of data into some of the predictive models. If we’re able to identify signatures of areas that have had problems in the past and if we were able to say you know this disease is showing up in this band at this point in time given these weather conditions and we’re able to pump all out all those images and all that information into a machine learning tool. That’s pretty exciting, because then we can really scale up the business that we’re doing. [00:20:00] I think there’s a lot of opportunities to blend existing data, along the remote sensing information that we gather. There’s a lot of a lot of platforms out there right now that are really peeking our interest as well. [00:20:16] IAN: Cool so full disclosure everyone who’s listening. I’m sure you heard the cacophony of San Francisco tourists inside the hotel computer room that we’re recording this in, so that was actually hilarious. There was a printing problem and quite a few senior citizens working, feverishly together to try to fix. [00:20:38] Apologies for any background noise and losses of train of thought there. I think Norm, you did an excellent job of keeping your concentration there, so that was excellent. I’m more impressed by the minute here. So our guests have left us for now. [00:21:00] The last kind of thing I want to touch on is the Venture Exchange. As previously mentioned, you guys are a publicly listed company on the Canadian Securities Exchange, under the ticker symbol DVR. I mean like I can invest in in your company right now if I wanted to? [00:21:23] NORM: Yeah absolutely, we’re a publicly traded company or our stocks trade freely on the Canadian Securities Exchange and any individual through their broker could could access those shares and take part in the company’s success. [00:21:35] IAN: That’s awesome and so that’s an interesting strategy for you guys to take. The way I understand it is that it’s a little bit different over in Canada in that specific region than here in Silicon Valley where there’s all these VCs and those just throw money around, millions of bucks. What’s the thought process in taking that route? [00:21:55] NORM: For us it was – Deveron was a publicly traded company before it entered into drones. It was in the mining space and it’s a perfect vehicle for for the company to grow and for us to access capital as it’s needed. So right now we were focused in Ontario in 2016 and as we’re looking to expand westerly and southerly, it’s an opportunity for us to access additional capital as needed for hardware purchases and expansion plans. And it’s a very efficient method for us to grow. [00:22:25] IAN: Fascinating, so you can invest, if you’re listening and you want to invest. Canadian Securities Exchange ticker symbol Delta Victor Romeo. Norm, one last question is what kind of advice? What’s one piece of advice ? You know if there’s a young whippersnapper, maybe getting out of high school someone very entrepreneurial. Maybe it’s someone older and looking for a career change and they want to use drones in Ag. [00:22:51] What kind of advice would you give them? I mean lessons learned, things that they need to be very confident in doing and being able to deliver at a high level and consistency. What would you say to that? 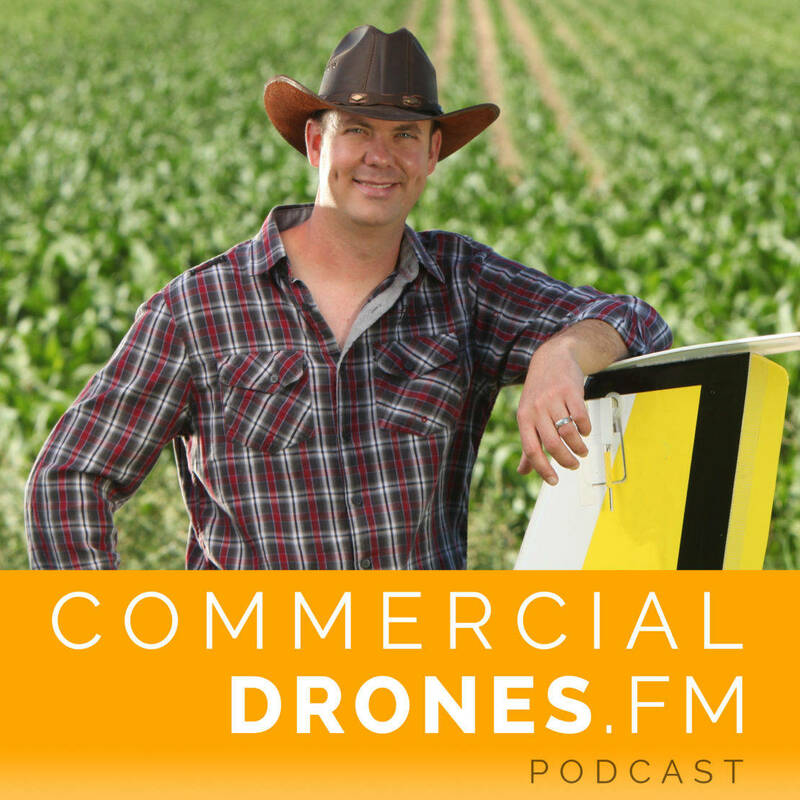 [00:23:06] NORM: Yeah there’s so much more to collecting imagery in agriculture than just taking a drone out of the box and saying that you have a service. There is multiple layers and I’ve touched on this so many times. Collecting good data is extremely important. Agriculture is a very complex system. It’s become very scientific. And yeah, it’s a unique space to operate in for us but it’s it’s a difficult one to come into. [00:23:32] The other thing. I would touch on is that hardware is a commodity. There’s so many drones out there, so many sensors out there and so many software and analytics tools out there. What we’ve really been able to do and how we’ve differentiated ourselves as a service company, is the ability to integrate all of those into one another and the ability to be able to shift and change our decisions related to those on a yearly basis. The space is changing so fast. The prices of these and the technology is improving constantly. [00:24:03] I mean even if you look at where we started and where we’re going to be next year. We’ll be on our third and fourth model of UAVs, just for that very short time period. So it’s very difficult for someone to keep up with the technology on a small scale. And that’s one of the reasons why tout that we’re a service company and we take on a lot of that risk for growers. So we’re able to do it much more efficiently than than anyone could ever internalize those costs on a commercial scale. [00:24:33] IAN: I totally agree man. You guys are doing a heck of a job. You can go ahead and follow Deveron UAS on Twitter @deveronuas and you can follow Norm himself @woodleighfarms on Twitter. Which is really interesting because he’s posting pictures from the field in a real farm doing real work on it on the ground with with the boots in the dirt. [00:25:03] Thank you so much for the maple syrup delivery over here back in San Francisco. I’m going to restock my pantry and you can check out the website for Deveron at deveronuas.com. [00:25:15] Keep an eye out for those case studies from you guys. I’m super stocked and really interested in reading them. A lot has changed in a year as as you know. [00:25:25] Thank you everyone for listening. Thanks again Norm for your time. 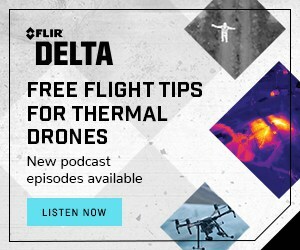 You can follow the podcast @dronespodcast on Twitter, hit us up on Facebook.com/dronespodcast and shoot some notes. If you have any follow up questions for Norm, I’m sure I can accost him and get him to provide an answer. But appreciate you joining us. [00:25:47] NORM: Thanks a lot Ian, it was great being here, we’ll have to have you up in Canada next time. [00:25:50] IAN: Absolutely, I’ve been meaning to make that trip. Al right everyone thanks for listening. Cheers.